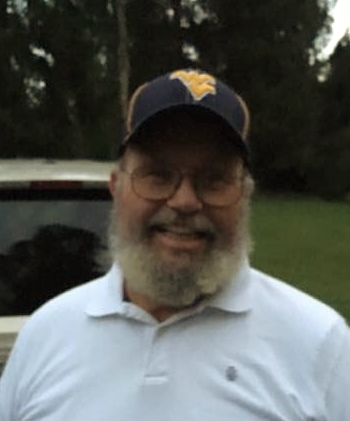 Michael Lee Miller, age 71 of Bolair passed away June 29, 2018. He was also known as “Packy” to his loving grandchildren or “Shorty” to his mining buddies. He was born October 11, 1946 in Richwood and was the son of the late Walter Martin “Monk” and Maxine Ruth Butcher Miller. Michael was a proud member of the UMWA Local 1466 and was a charter member and a deacon at Calvary Baptist Church in Bolair. He was an avid outdoorsman and enjoyed playing Santa Clause. Survivors include his loving wife Linda Woods Miller; children, Marty Miller and his wife Melissa, Rebecca Mollohan and her husband David, Michelle Hicks and her husband Bill and Piper Simmons; grandchildren, Josh and Erin Sweeney, Drew, Miguel and Max Hicks, Sydney Mollohan, Martin Miller, Amy Miller, Justin Cutlip, Sheena Ray, Lanie Wells and Mitchell and Mara Rogers, god granddaughter, Amyah Halstead; great grandchildren, Trevor, Treyton and Chloe Miller, Gage Cutlip, Mallory and Braylen Snyder and Triston Simmons; siblings and their spouses, Paul and Romajean Miller, David and Shirley Miller, Pam and Eddie Taylor, Steve Miller, Robin and Garcie Barnett, John Miller, Jeannie Miller, Melissa Miller and Tim Miller. Service will be Noon, Monday July 2, 2018 at Dodd & Reed Funeral Home, Webster Springs with Pastor John Radcliff officiating. Burial will follow at West Virginia Memorial Gardens, Calvin. Friends may join the family for visitation two hours prior to the service at the funeral home. Dodd & Reed Funeral Home is honored to be serving the Miller family.